At this ti me of year it can be difficult to make your money last you through to the next payday and for some people that means reaching for cheap, convenient foods like pasta, bread and white potatoes that fill you up but are lacking in a range of nutrients. So, is healthy eating on a budget possible? What with paying off credit cards from your Christmas spending and increased fuel bills through the winter it can leave you short for your weekly shopping bills. With a bit of planning and some simple tips you don’t have to feel like you’re going without or surviving on junk or highly processed foods. Check your local high street green-grocer, fishmonger and butcher – they are quite often cheaper than the super markets and you get the added satisfaction of supporting local businesses. Venture away from your regular supermarket and shop around, try Aldi or Lidl for offers, especially on meat and vegetables. Shop seasonally – fruit and vegetables are cheaper when they are in season and quite often taste better too. Plan your meals for the week, make a shopping list and stick to it. Don’t be tempted by supermarket offers, do you really need those sugary snacks or crisps just because they sound like a good deal. If food in your fridge is nearing its use-buy date or nearly past its best freeze it or make soups or stews and freeze for future use. If you cook too much for dinner eat the leftovers for lunch the next day or freeze for future use. Keep a list of what’s in your freezer and check if before you go shopping, this helps avoid buying something you already have. Try switching your jars of tomato pasta sauce for cartons of passata, add dried herbs and garlic for flavour. When making stews, casseroles, curries or chilli cut back on the meat content by 50% or more and add a tin or beans (mixed beans, kidney, butter or chickpeas) or cooked lentils to bulk it out. Meat can be expensive so consider having one day a week “Meat Free”. Use beans, lentils or eggs as an alternative protein source. If you are buying branded goods why not give the supermarket own brands a try, you might not notice the difference. Eat at home, take-away meals can be expensive and you can cook something tasty from scratch in the time it takes to wait for your takeaway to be cooked or delivered (check out my Facebook for some quick and nutritious recipes facebook/com/thenutritiousfig). Stop buying junk food – biscuits, crisps, chocolate bars, fizzy drinks and cakes. They are highly processed, have a very low nutritional value and can make a big chunk of peoples weekly shopping bill. Stock your fruit bowl with apples, oranges, bananas or other seasonal fruits and use them for sweet treats. Buy whole fruits and vegetables, pre-prepared goods can be expensive for the sake of saving you a couple of minutes chopping time. 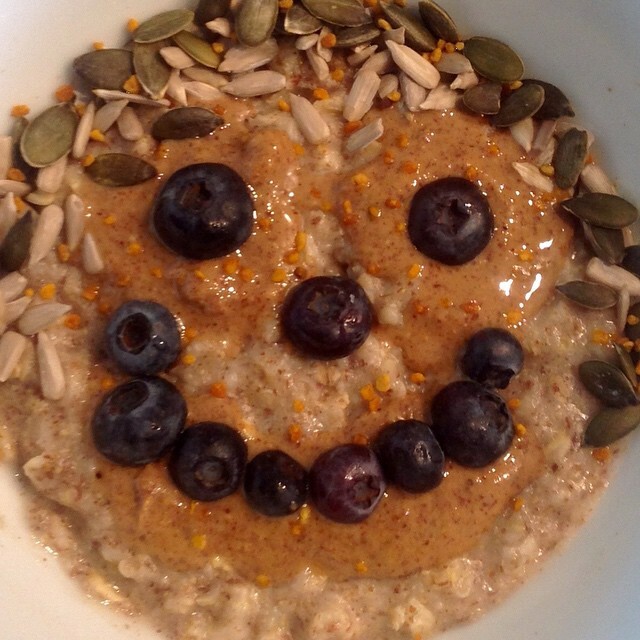 Ditch the pricey breakfast cereals and switch to natural oats. You can make porridge, muesli or add them to plain yogurt for breakfast. Buy and roast a whole chicken rather than buying expensive chicken breasts. You can also try switching chicken breasts for boneless thighs, which also have more flavour. I’d love to hear any tips or recipes you have for healthy eating on a budget, please share your ideas in the comments below.